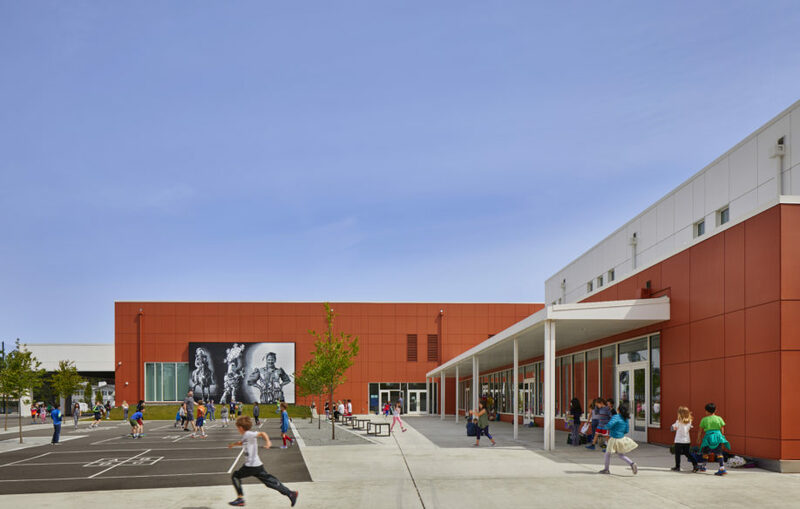 As part of the 2013 voter approved Building Excellence IV (BEX IV) levy, this project included the programming, design and construction of two Seattle public schools in North Seattle. 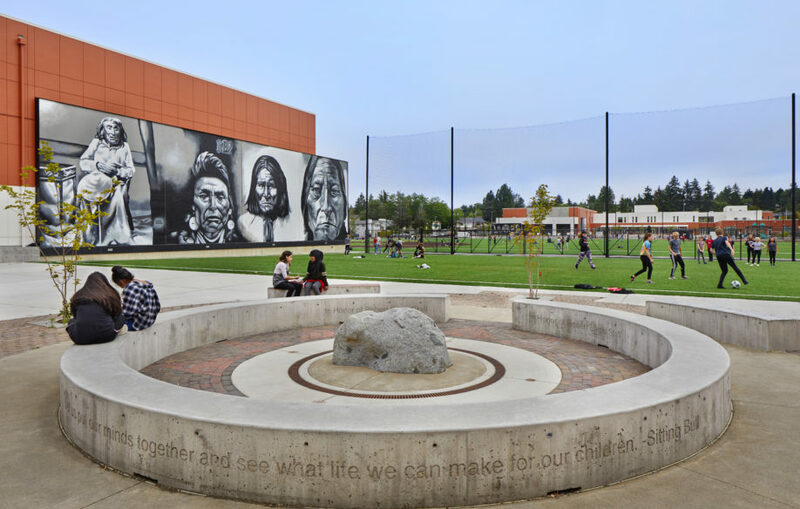 The seven existing school buildings on the 17-acre Wilson Pacific site are being replaced with two new schools: Cascadia Elementary School serving up to 660 students and Robert Eagle Staff Middle School accommodating 850 students. 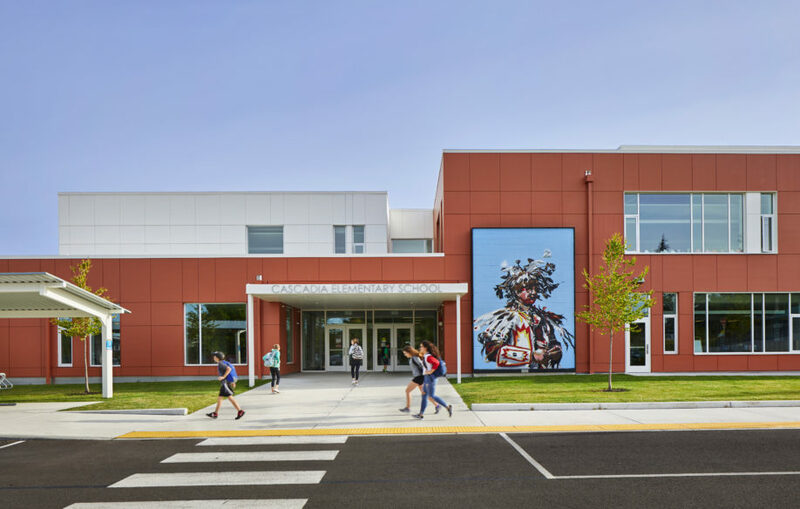 As part of the project, SOJ facilitated the politically sensitive landmarks process as well as the technically challenging removal of the existing murals by artist Andrew Morrison, which were reinstalled onto the middle and elementary school buildings. The eight 25-foot high by 20-foot wide stunning murals depict portraits of Native Americans, including Chief Seattle, Chief Joseph, Geronimo and Sitting Bull.